Aw, yes, the Raspberry Pi Computer, a credit card size mini PC that only cost $35. There are so many possibilities and uses for these small nano PCs. People have made them into PVRs (personal video recorders), retro gaming machines, weather stations, in-car PCs, jukeboxes, and so many more creative ideas. When I started this project four weeks ago, I just wanted to see if it was possible to make an ultra portable, mobile Raspberry Pi that you can take to-go. As I was building my Pi-to-Go I kept saying to myself, it would be cool if it had this, and then I would find a way to make it happen. My mobile Raspberry Pi Computer is now complete and because this is an open source project I wanted to show you everything, including how to build one yourself. I will even provide links to the parts I needed to purchase and the 3D printer STL files to print your own case. So here we go! Just a quick blurb about myself. 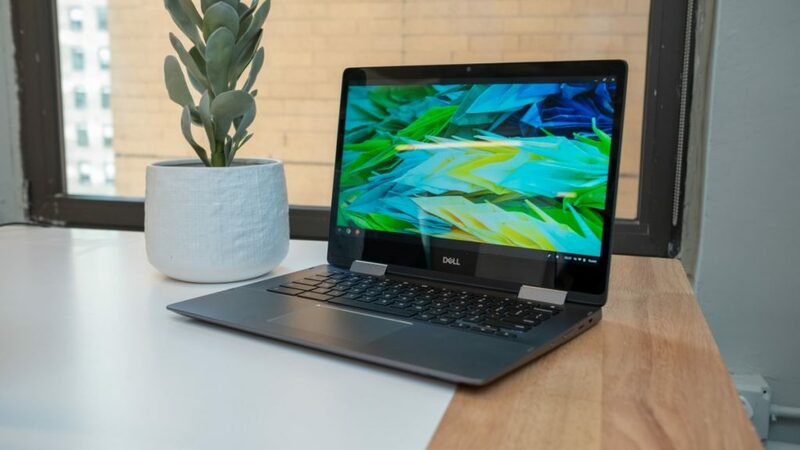 I am the founder and CEO of Parts-People.com, Inc. which specializes exclusively in Dell Laptops; and specifically Dell replacement parts, Dell laptop repair, and Dell laptop refurbishing. 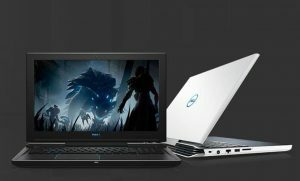 So I have more than 10 years experience in repairing and building laptops. Okay, lets move on. The LCD I used is from an after market backup camera system that can be installed in a car. 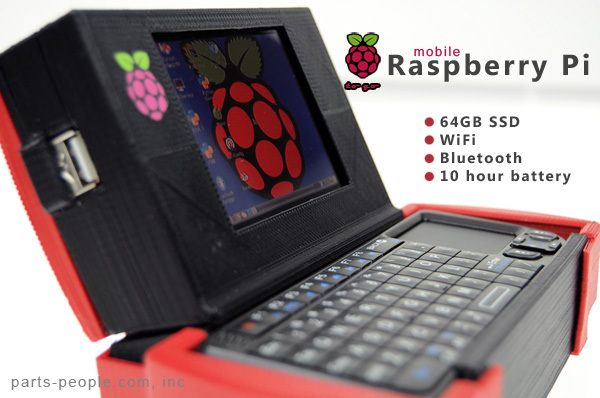 The screen is a low resolution and I hope to find a better upgrade for my next version of the mobile RPi to-go. So for this proof of concept, it works just fine. The screen is 3.5" using a 4:3 aspect ratio. It uses a composite input and is able to display a resolution of 640 x 480 pixels. First off, be very careful when messing with lithium-ion batteries. Neither Parts-People.com, Inc nor I are responsible for any damages caused by this tutorial. Proceed at your own risk. Because I own a company that sells only laptop parts, it is only natural that I would use a laptop battery for this build. Laptop batteries are built in such a way that you cannot just plug something into them and use them for a battery pack. I knew it would be possible but I just needed to figure out the best way to get power out of it and how to charge it back up in the best and safest manner. I ended up using a battery for a Dell Latitude D600 laptop and just removed it from the Dell battery case. The battery was about the right size, it had the right voltage, and I had plenty of them. 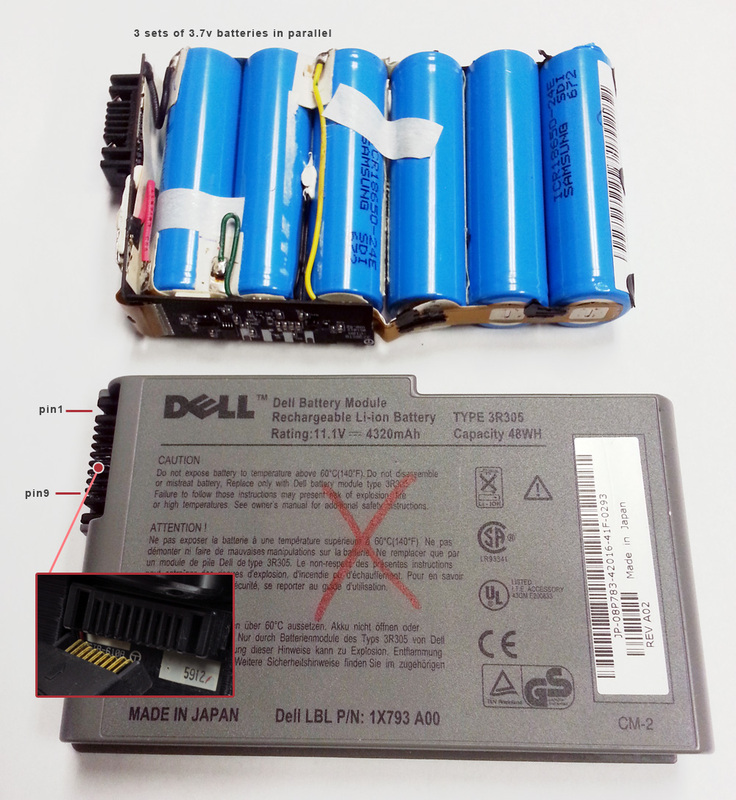 Those batteries have a standard Dell 9 pin battery connector. To get power out of this battery, you will need to connect pins 1,2, & 4 together for negative / ground (-) and pins 8 & 9 together for positive (+). Be sure to connect the correct leads. See picture for pin outs. Charging the battery was easy, I just purchased an after market laptop battery charger. 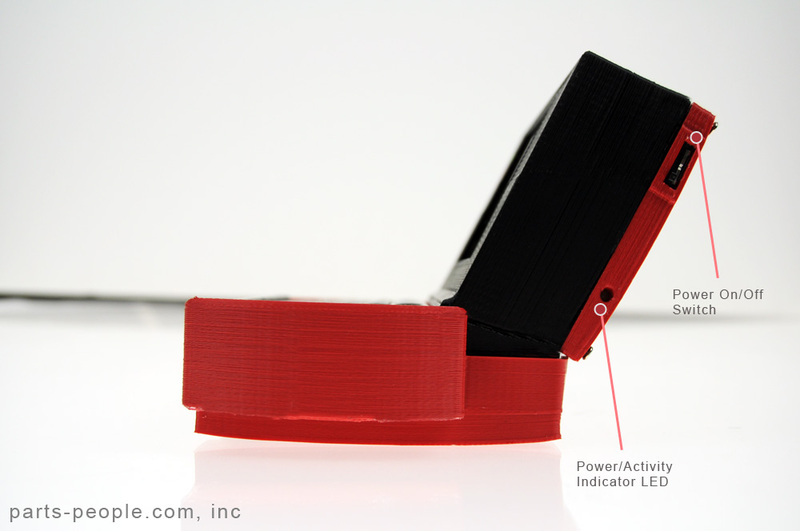 It connects directly to the battery's 9 pin connector and also has a battery level indicator built-in. One major problem with the Raspberry Pi is a lack of power. 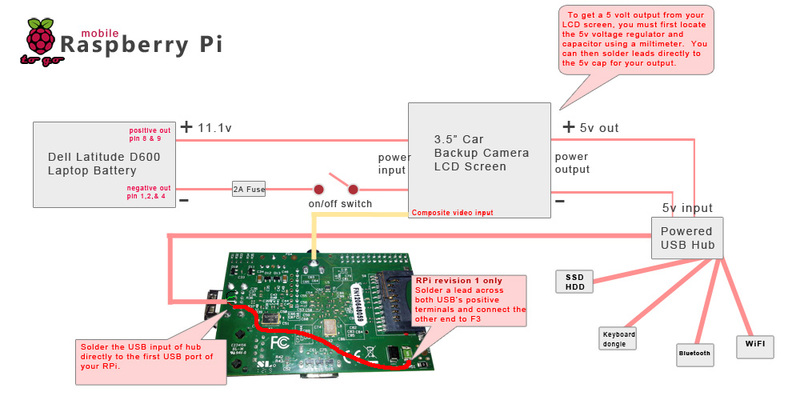 The RPi is powered by a micro USB 5v with at least 750ma, 1A is better. But the problem is not there, it is that the USB port can only supply in the neighborhood of 120ma per port, which is not enough to run much. So I found a super small 7 port USB hub that is powered and took it apart. I needed to power 5 things: a wireless WiFi dongle, a bluetooth dongle, an SSD hard drive, a keyboard/mouse transmitter, and the Raspberry Pi itself. The power from the battery pack is 11.1 volts and the power required for the USB hub was 5 volts. What I did was connect the battery to the LCD screen which had an input of 9v-13v, and I knew that the LCD screen would have some components that would require a 5v power source (LED LCD back light for example). All I had to do was find the onboard voltage regulator and solder on leads across the 5v capacitor and solder those to the 5v input on the powered USB hub. Easy as Pi. Now we have clean regulated power for all of our devices. 64GB SSD, yes I did! I wanted to add a linux swap partition because of the lack of RAM. The Raspberry Pi itself has 256MB (model B version 1) or 512MB (model B version 2). If I simply just installed a larger SD card and added a large swap file, or swap partition, I would eventually burn out the SD card. SD cards have a very limited number of read/writes and SD cards are slow. I opted for a 64GB Sata II solid state hard drive made by Samsung (model # MMBRE64GHDXP) and again I have a bunch of those in stock so it was convenient. I used an external USB hard drive caddy's circuit board to connect the SSD sata HDD directly to the internal power USB hub. I setup a 1GB (1,024 MB) Linux swap partition, and have the rest formatted in ext4 for extended storage. I wanted to build in as many features as possible, so I got a nano USB WiFi dongle and a nano USB bluetooth dongle to install inside the mobile Pi. These are also soldered directly to the built-in powered USB hub. I'm using stock Raspbian Linux downloaded from raspberrypi.org. The only tweaks I made were to the config.txt file and added the Linux 1GB swap partition. I modified the config.txt file to make the LCD screen display properly and fill the whole screen. I purchased a wireless 2.4Ghz USB keyboard & mouse combo. I would have preferred a wired USB but this one was the right size and price. The keyboard slides in and out via the access door on the left side of the machine. The access door also exposes the on/off switch and mini USB charge port for the keyboard too. The Raspberry Pi board I am using is a model B (revision 1) but you can use the model B (version 2) for this build. 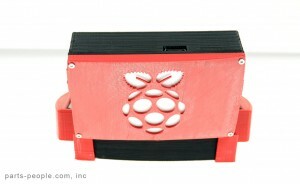 Using Google sketchup, my 3D printer, and a little creativity I was able to create a case for this mobile Pi to-go. There are five parts to the case and I have made all five parts available for download from thingiverse.com. Everything is made to snap together except the back access door is held on by four screws. 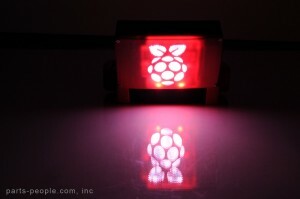 The back of the case has a Raspberry Pi logo cut into it and it is illuminated when the device is powered on. I used a back lighting LED and the acrylic strip from the back of a backlit laptop keyboard. I cut it to the shape to fit just behind the RPi logo and soldered leads that connect to 5v power. This was not needed but I thought it was a nice touch. As promised I will provide links to purchase all parts needed and I have already provided the links to download the 3D printer files (STL) above. Here is a schematic to show how everything is wired together. Please share this build and if you have any questions or need help, please comment. AWESOME.. great job! Hope to try it myself one day. Thanks! My hackerspace, the Hoboken MakerBar, is just raving about this thing. Thanks for putting up the render files for the case, we’ll run one off. Very creative to use the screen’s regulator to power the Pi – we have lots of old laptop batteries we can salvage too. Thank for the amazing post! In the schematic, why do you wire the USB postives with F3? Did the LCD include a power adaptor? 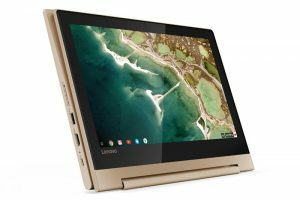 What would be a better display to buy? I am using that lead to power the Pi. On the newer version you can just back feed the USB port with power, but this is the first version and the Pi will not run right like that. Great project! And well document. I like your solution to get the 5v from the monitor pcb. Clever! Any ideas about a bit bigger display, possible with a resistive touchscreen? I’d like to use it for a XBMC station in my kitchen. Thanks, I have already started looking into version 2. 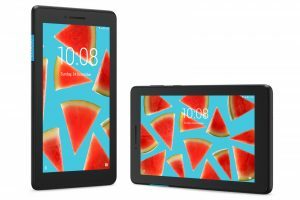 I will probably go with a 7″ screen, and touch would be a great option too. I will see what I can come up with. For version two could you please try to keep the price down. It probably wouldn’t do anything for a while but do you really want to waste a 32GB SD card? Really like the 3D printed case and soldering directly to the USB port on the PI leaving the other one to be exposed! IIRC the 512Mb Pi’s USB current is only limited by the power supply. I wonder what kinda current the regulator in the LCD can supply without getting hot? If you want a good switched regulator board for stepping down ~8-40v to 5v then the PCB from in car phone chargers are pretty good, iPad ones are often rated to around 2.1A and android ones are perfect for the Pi at around 1A with microUSB. You win, Sir. I wanted Pandora soo badly. Unfortunately there was no Kickstarter back then. pandora have been available to buy for a wile now but there price is to steep and are simply old tech when a android smart phone can do the same thing cheaper. No it cant, and also you are comparing vastly different things. The pandora is not a game console, it’s a PC. Also, it’s available in a week, and it’s much more powerful than the pi, from a hardware point of view, and much more powerful than any phone because it’s a true open device with tons of software. how do i purchase a pandora??? Go to their website and buy one. 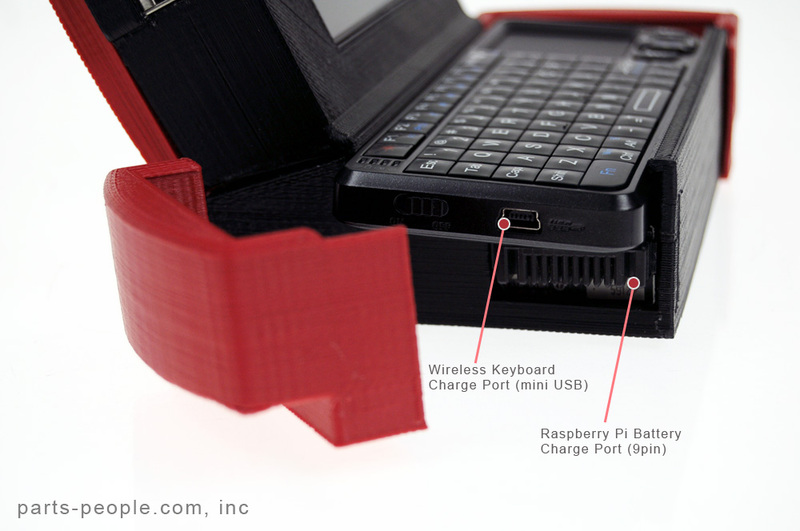 It’s completely straightforward – the lcd connects directly to the composite-out port on the Pi. The RCA socket would have been removed from the Pi and the cable soldered directly just for space reasons. I did even need to remove the port. I just soldered to pins on the back of the board. 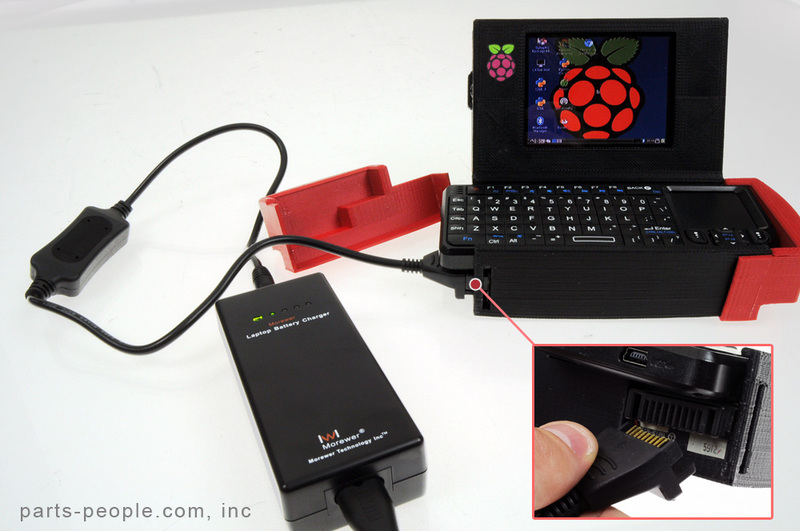 This is an awesome project c: I can imagine such a small laptop with some emulators, and joystick input, would be great for some retro gaming on the go. 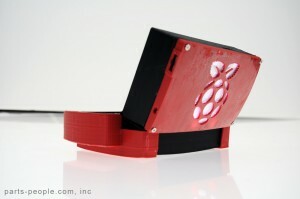 The case is fantastic, too – the backlight LED is a great addition. You are correct. I am using model B of the first version. I am now working on a gamepad that will slide in and replace the keyboard transforming it into Picade-to-go. Awesome project – can you upload all .stl files to Thingiverse please so we can fork/change them? I will get it done today. Please make a video showing us the device, super cool ! I will try to get a video posted next week. How much was your 3d printer, and what model is it? I used my pp3dp 3d printer that cost $1500. it is not really clear how you connected the screen to the rpi. Can you show a picture of that? The screen has a composite input and I soldered that input directly to the back of the RPi’s composite connector. I did not need to remove the connector but will most like on my next version to make it thinner. The raspberry pi that I have does not have a composite video connector… only an HDMI output. How do I connect this without an adapter? Look again, of course it does have a composite out. At least mine has and any other I have ever seen. it is a RCA connector. I have the RCA connector, but how would I use this LCD? I was able to get an RCA male-to-male connector but that won’t work, I would imagine not enough power. Is this only working because you have a larger batter attached? Or is there another (reversible) way to connect this exact LCD to the Rasp Pi? Thank you so much in advance for the help! This is brilliant! I am going to have a go at my own version! Thanks! What you use wifi and Bluetooth? Or which card is the best for this? I think it’s more, why wouldn’t you have WiFi and Bluetooth Bluetooth allows you a mic, speaker, a lot. WiFi…why wouldn’t a portable computer have WiFi? He’s trying to ask what bluetooth and wifi modules were used. 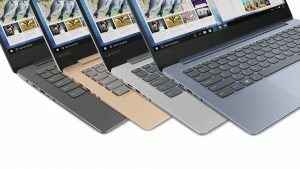 Answer: It looks like a Ipazzport for the keyboard which comes with a small bluetooth dongle that will work for most anything but you’d need to hook up a USB keyboard or another BT dongle etc. to use BT a headset or something. As for the wifi adapter- any will do as long as it’s small and reliable and has a good range. I guess I misinterpreted it. Looks like a classic Apple design that was just ripped off! I’m going to buy a wireless keyboard&mouse and a OTG cable. It’s just 20€, an puggled to my phone turns it into a computer. And if I’m at home I just have to connect it via HDMI to my screen. could you provide some information about the weight of the pc?… ah yeah.. great work! I will have a video up next week. The pi runs great and even my 3 year old has used it. Has the video been uploaded anywhere, yet? this is incredible. How proud can i be that you invented yet again! Nice, maybe add a touch screen based on linear CCD? handy, maybe use 4 microSD cards with common data pins and a software driven switch triggering a reset and bank switch to the next card. Interesting how long is it going to live on this battery, any benchmarks? Battery last a little more than 10 hours. I have not run any benchmarks on it to see how much better it preforms using an SSD hard drive over non-SSD models although I can tell a small improvement in speed. Can you put this on amazon? This is not for sale, it is only a proof of concept. Can you take orders for the case? Or can I volunteer as an independent tester of the case? Don’t have the tools to make it, can do the other parts. I know there are companies online that will print it for you, if you upload the design, but I’d like to get it straight from him as well. I meant, can you put the finished product on amazon? I have the keyboard you use in this project and it is quite uncomfortable to type on as the trackpad gets in the way. 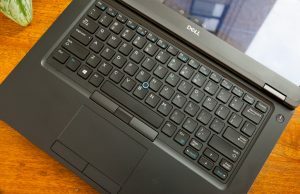 They also make a version with the keyboard split and trackpad in the center. I havent tried it because this one works for its intended purpose (htpc) and I’m sure the kids will break it sooner or later. Also, this keyboard does work on a wired connection if you choose to use it. So you could hardwire it to a usb port. You couldn’t’ give a link for that keyboard, could you? Is it cheap? The links to purchase all parts are in the article. could any power supply work or do i have to buy a dell battery/charger ? If you use a standard Dell laptop battery like it did. You will have to buy a standalone battery charger that can charge the battery without a laptop. The charger will have a 9 pin battery connector on it. I have included a here to the cheapest one I could find. I think for the operating system you should use some mobile operating system like Android. I heard android isn’t very stable on Pi yet. 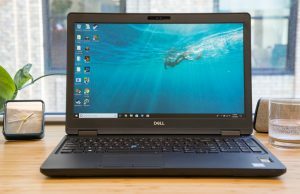 Nice compact build, I have a LCD from a Dell Laptop, is there a way to use it as the screen? I have 100s of those sitting around too, and I’m sure it is possible with some sort of Chinese adapter/converter card. I looked into it briefly but opted for a simpler solution that anybody can do. Insert the needle Pogo make her marks on iPad minute you as possible. If you are a graphic designer, artist, painter or looking to draw on the fly, and this pencil will do the trick. not if you take shipping into account. Would it be possible to save space by opting for a 64 gig thumb drive? Is there really much of a difference, as aren’t both flash and SSD the same technology? If i recall correctly, SSD and Flash are very similar mediums for storing memory, but SSD can be re-written more, and is significantly faster, but much more expensive. But the USB connection it’s connected by is too slow to take advantage over using a thumb drive, and the price difference is worth it if it EVER wears out, which I’ve never had a thumb drive do. Isnt the speed difference of SSD-on-USB versus USB thumbdrive still quite noticable? I have an external USB HD (USB 2.0) and it can move files at least twice quicker than my other good thumb drives (also USB 2.0). I wouldn’t put my trust on a really big 64GB thumb drive as there is a possibility that it’s a multilayered (I’m not sure of the specific term but I read about it before) one which eats up the r/w capacity faster. Looking forward to see the video. When you build your next version, you should make a short video showing how everything works. Great Work! Let me know if you can recharge the battery while using the device or not. Thanks for the reply. Can i see the battery level without the battery is in charge? When you will post new cheaper solution? When the battery is charging, the charger does not display charge level. When charger is unplugged from wall but still plugged into battery, it will automatically show charge level. As for cheaper solution, I messing around with a few things not sure when I will complete it. im not sure where to solder exactly. Can I use some other hard drive, like the Dell Z600 E4200 (R075R)? It’s cheaper, and I’m trying to cut costs. Z600 / E4200 uses a uSATA drive. That is not compatible with most external hard drive caddies. I am working on getting some more of the drives I used for the build and I think I will be able to sell them for $69. Does the unit have a clamshell design, with hinges? If it does not, that would be a great feature to incorporate into the second version of the design! No hinges, but I may make a version with hinges that is much thinner. I will see what I can come up with. this linux looks almost like windows. Does it also place running task on the taskbar like windows? That would be great. Yes, it looks and feels like just like Windows, taskbar and all. working on a cheaper solution. I wanted to be safe before being cheap. could you please post more pictures? sure, what would you like to see more of? The negative connection from the battery to the LCD screen. I am in the process of making one of these and i don’t want to screw anything up. Also, if it’s not too much of a pain, I would like to see the connection between the usb to LCD as well. I just added a new image that shows in more detail how everything is wired. I bought the LCD screen you recommend but it came with very poor instructions about connection. It has 3 wires red, yellow and white each with a connector. Which do I connect the 12V to and which is the composite signal input from the RPi? There are no other connection points. I just added a new image to the article that shows in more detail how everything is wired. So what can I do when there is not a single 3d printer around in my country? Do the side panels of your design come off easily to expose the USB and charge ports? Yes, it is easy. Only one side comes off to expose the charge ports. How much for the WiFi and Bluetooth USB dongles? And is the Bluetooth dongle necessary if you opt for a wired keyboard? I feel like charging the battery and the keyboard would be a bit of a nuisance. $10-$15 each on amazon. Charging the battery is easy. The side door cover comes off and you just plug it in. You can still use it while it is charging. Has a video been posted yet? & Whats the progress report on the next version? Great video! I just expected a short video of it running, but this was much better. Can’t wait for the next version! This truly Is a great idea, so small! I was wondering if I could perhaps use your idea in my own project? Of course the design, materials, et will be different. So could I use your idea? The project is open source. So yes, build away and make it better and share. I found the project very good, but the value to build and loud, and practically the value of a notebook. is there a way to use my laptop screen (only screen not the laptop) as a monitor here? Where can i buy the case? Please help! Hey could you do a video tutorial on how to do this. 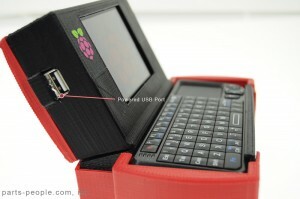 I am a 13 year old and i really whant to make something like this.,i gotmthe raspberry pi model b revision 2 for my birthday. did we all get one for our birth day? I think so lol. I agree, a video tutorial would be great! A tutorial would be good. I’m 17 and I don’t know how to do this either. A video tutorial would be great! tutorial on how to make this. your greatly on to something…mind if i join you? Im 10 and im trying to build a retro computer. : ) Retro means old incase you dont know. Yeah, I could definitely do with a video tutorial. Yeah. I NEED a tutorial. Nice design. Some great suggestions here too. For my own project I”d like to feed teh composite video (and audio) into an existing head unit via RCA. Also tapping the car’s 12V supply would be preferred, but presume some sort of power regulation would be needed, and a step-down transformer for 5V. (Maybe both are available in a single circuit?). Anyway, I’m an amateur electrician, but pretty good at following instructions/plans etc. – any suggestions welcomed. If you go to Shapeways, you can have it printed and shipped to you if you give them the STL files. Hey, really nice build! One question: Does every regular LCD screen has a 5V power source? I want to build a similar one as a mobile multimedia device but with a littlebig bigger and whider screen and I want to be shure before spending money. How did you connect the USB hub to the 5v thing? Also, how did you create the swap partition? Have you worked on an updated one yet? I have two new designs that completely different from each other and are really pretty cool. They are not complete yet, but I will keep you posted. I have been out for the last couple of weeks because I just had a kid and it have been keep me busy. Thank for all the support. Could you make video tutorial on this because I’ve got it all planned out but I can’t really see how it works. Jason, what are you having a problem with exactly. I will see if I can help you. Also how did you get the switch and the fuse together? And where did you get them from? 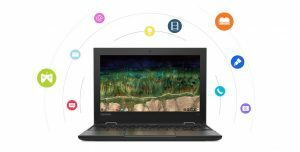 hello, i am trying to create my own laptop based in this project, although I don’t know how to create the power circuit. I have a battery with two outputs, one is 12V (for a 4,3″ or 7″ screen) and other one is 5V usb output. I understand that I can connect through a powered USB hub the keyboard, the trackpad, wifi, bluetooth and a ssd drive… my question is about how to connect the raspberry, I can guess that i can use another usb port for powering the RBp, but as i must connect the usb hub both in the RBp usb port and the RBp microUSB power, i am afraid to destroy the unit with a shortcircuit or something similar… I am afraid I am not explaining good my problem, sorry. 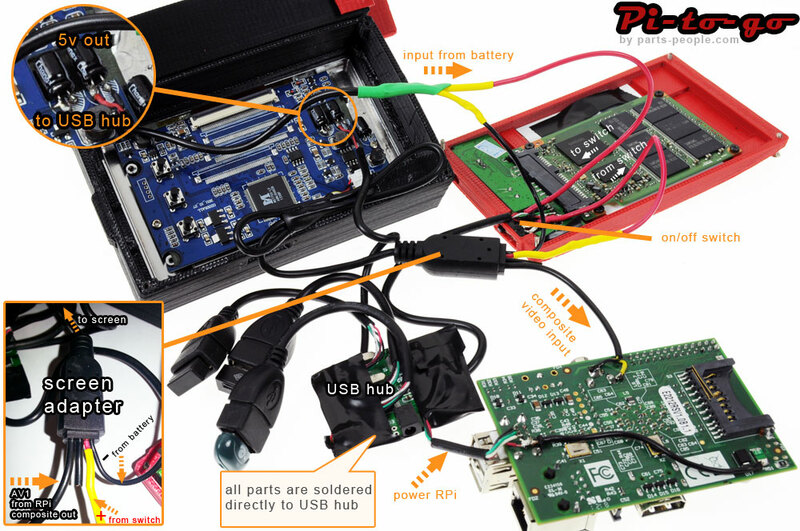 my question is… could I directly connect the 5V power lead to the RBp microUSB, and then connect wifi, keyboard, trackpad, bluetooth and ssd hard drive to the standard usb port of the RBp without extra power?? Or how could I close the circuit for a better performance? You don’t explain too much about this issue and is the most important for me. I would be thankful if you could help me at this point. There is a schematic that shows how I did it, and I provided above. If you have purchase the new Rpi revision 2 (512MB), you can just connect your 5v power to you RPi micro USB input or solder it to the input or solder it directly to the positive and negative pins of your RPi USB output. Thanks for the question, hope this helps. How does this not overheat? There isn’t a heatsink on the parts list. What is the name of the blue board that sits on top of the batteries? in the pictures, the Pi is powered trough the USB port , and not normally trough the mini USB Port ? I worry about your drawing so much power from the 5v regulator on the LCD. It’s probably not designed to supply any more power than the LCD itself needs. And drawing all that power, plus feeding an external port, is abusing it, and asking for trouble! The other issue is efficiency. The LCD may just drop down the 11v to 5v with a linear regulator. The extra 6v is dissipated as heat! As well as unwanted heat, it’s obviously a large waste of power. You can buy DC-DC converters from an electronics supply place. These convert the voltage using a little coil, and can be 95% or so efficient. Versus less than 50% for the linear regulator. I’d really consider adding a DC-DC converter. Also known as “buck” or “boost” converters. They’re available small enough to fit in. Also your SSD drive. It’s expensive! And it will suffer wear just like an SD card or any other flash device. A USB memory stick would’ve been cheaper. The SSDs are much faster than memory sticks, but since you’re using USB, the USB connection is the bottleneck. So you probably won’t find it runs any faster. I could be wrong, try it out! Altho USB memory sticks do vary in speed quite a bit. It might be better to put your swap partition on your SD card, since 4GB SD cards are cheap and easy to replace if it ever does wear out. I suppose since you had it hanging around, your SSD was free. But otherwise I wouldn’t use one, I’d stick with a memory stick. As for the rest of the system though, excellent! I’m still jealous! Actually… thinking about a DC-DC converter. If you got a powerful enough one you could run the whole system off it, then use a 3.7v lithium battery to power it. You’d need a DC-DC converter for the LCD’s 9v-12v too. But overall those, plus a lithium battery and charger, would have saved a lot of money on the laptop battery and charger. It’s generally better to buy batteries as single cells. 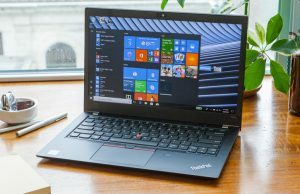 Laptop batteries have a lot of price added on just because they’re unique to the manufacturer, so laptop owners don’t have the choice of shopping around. is the Raspberry Pi being powered by the usb hub? Can someone explain? how should I get the case, if I do not have a 3D printer? Have you looked at re-purposing old or broken laptops? 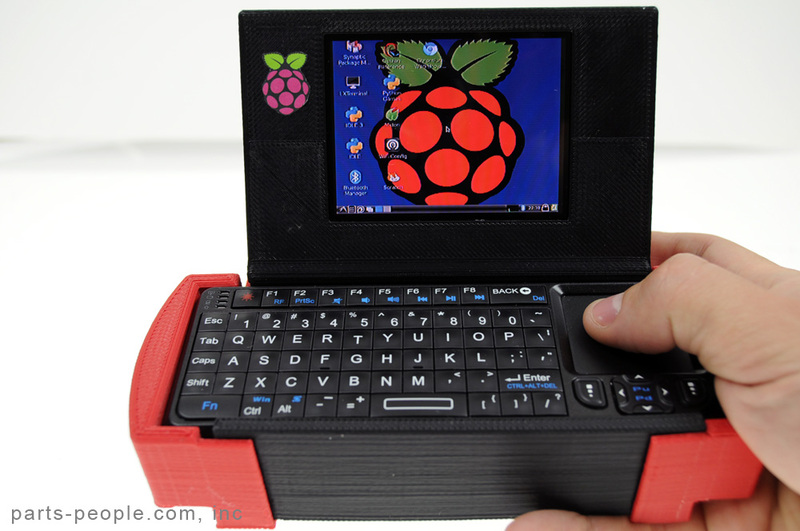 If it were possible to use the laptop’s shell, display, keyboard, battery, and power supply, it would make for one awesome Raspberry PI. Hey Nathan, my name is John. I love this idea, it’s brilliant, I am just having one problem. One, I cannot print out the last part, the back door. I keep getting an error in slic3r about intersecting facets. This hardware are invented few years ago, and is named OpenPandora Console. 4200mAh single cell at 3.7V give 15Wh, same 10h for playing but 20h while text reading. Pandora have nice shape, is open source and only 100$ more. Do you have a step by step guide? Sorry, no step by step, but there are schematics and a thorough description above. can this fit a gizmo expolorer? You cant buy the case. The 3D STL files I have made free for download and you can print them yourself on your own printer or there are a number of websites that you can upload the files to and they will print it for a small fee. Probably not possible without a complete resign of the case. I am working a something new that will address the small screen problem. You post a link to the he’d caddy circuitboard for the sad please? I will look into it. Space is an issue. I am trying to keep it small; much smaller than the first one. well as long as it incorporates all you need, it seems pretty compact anyhiow. Can you actually close the portable pi? No it is stuck in the open position. How much does it cost and is it possible to swap parts and still be compadable with the pi. How do you wire the SATA SSD to the raspberry pi ? He used an sata to usb adapter, which makes me wonder why the hell they took an SSD in the first place, since a USB drive would actually do the trick. Maybe because of better access times, but still, it is a real waste. Can you Show a list of EVERYTHING you need for this project?! Can you tell me where you got the battery charger? Any work on the new one yet? May I know/see how the wiring goes between the screen and the Pi? Thanks! i dont want that much memory so is there an easier way to power the whole unit? Hello. I am really excited to build the Raspberry pi computer, but I have some problems. First, I do not know where to find a hard drive caddy for the memory, nor do I know how to set up a swap partition. Secondly, I haven’t been able to make heads or tails of the wiring schematics. And third, although minor, I’d like to know if I can modify the casing to be hinged, and therefore more portable. Hard drive caddy = hard drive casing. I think the author forgot to mention where he bought the hard drive casing. A hard drive casing already contains the SATA Card to which you will connect the SSD and the USB hub. Is the SSD powered by the USB or does it need a power source wired to it? I don’t think I’ll do something quite this elaborate, I’ve got mine running RaspBMC and if I could get a hard drive built into it that doesn’t need an additional power source, I would be thrilled. how did you connect the SSD via SATA to the rPi? Can I use smartphones and tablets components to save money? I could use the tablet screen (7″), all the batteries (tablet: 2000mA + smartphone: 3x1500mA) and an usb charger. is there a way to build it without a 3d printer? Is there a way I can buy one of these without having to make one? in the picture and elude to “all parts are soldered directly to hub”. 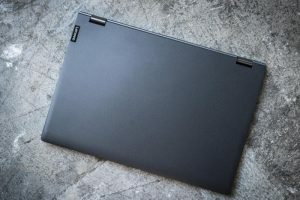 How could you make a foldable laptop instead of a rigid one that is kind of un-portable? Also, Do you need a heat sync for this? We are trying to duplicate this project to use for another project of our own. We purchased this battery and we disassembled it but now the battery wont charge. The board that lights up the LEDs for power isn’t damaged but the ribbon cable connecting the board to the main one where the charger plugs in did get disconnected. Can you offer any advise? Do you not sell your case? I have used a CUI V7805-500 (higher current versions are available) on my sailboat where I have 12 v power. (Available from DigiKey).The R-Pi only draws about 150 ma from 12 v with this regulator. I suspect the regulator in the LCD display may be a linear which wastes half of the power. I would like to know.. How would you know if the regulator is a linear or a switching one? does this require battery power? can’t you just use a mains power adaptor? Nice blog, its great article informative post. How did u connect the screen to the rs pi? He used the RCA jack on the raspi. But he soldered the leads of the lcd screen directly to the RCA jack instead of using a male to male connector. 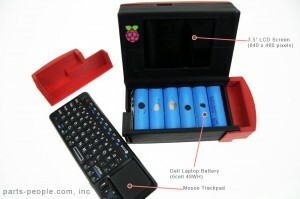 Is their a cheaper alternative to the battery charger, I want to build this but it seems a bit pricey. Anyone know of a cheap and reliable 3D printer I can get? Also I would love to be able to buy one too. Thank you! Im being charged £192 for the casing is this right ? Hi, just one question as regards the battery. As far as I understand Li-ion batteries can not drop too low on voltage, the pcb attached to the 9 pin thing regulates that? I’ll be checking at work for any broken Dell D600 laptops. Ooooh, using the screen’s regulator to power the Pi is a nice touch! I might attempt to undo that hack now! Does this work when the battery is charging, or do you have to turn it off to charge? I believe that the author chose to use a laptop battery because it’s more reliable at providing a constant voltage and he has a spare laptop battery at home. I think it is possible to use a different battery provided that it can provide stable power output at the voltage your hardware requires. I might try using AA NiMH batts but it’s also quite risky for me. Is the solid state dive optional? I believe SSD is optional. You can use the RasPi with only an SD card. SSD is only for additional storage and optional swap partition. 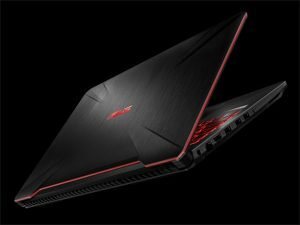 i’m in the process of building one and want to know can it be done without the laptop hdd. i have a 64 gb sd card. do i really need anything more? also what are you referring to when you say that you are swapping a gig? does this have to happen and how do you do it? i’ll get a 64 gb flash drive if i need to but just want to understand if there is a huge difference in the wiring setup without the laptop hdd. thanks for the help! You can remove the ssd. No difference in wiring setup. Just remove it from the usb hub. the reason he used ssd is you can use it for swap. swap is using a part of your storage device (usually flash storage) as sort of like extended RAM or something. SD cards are not up to this task because they burn out quickly if you make them do swap. swap is optional, but recommended I guess. 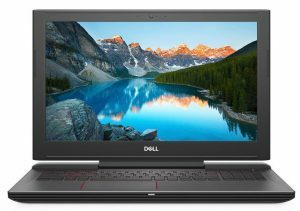 Hi, I am 15 and tring to build my first computer. I looked at the parts list and wiring diagram, but I don’t know if I am missing somthing. 1) do I need to buy the SDD HDD, wifi, Bluetooth, and keyboard USBs sepratley? 2)do I need an on off switch? 3) Is the green USB hub from the 7 port USB hub? 5) what is the green board next to the 64 Gbhard drive? 6) do I need to buy a 2A fuse? @nmorgan:disqus One part you forgot to mention is what kind of USB sata card you used.. How much did it cost and what brand did you use? Another question. Did you have to check the amp output of the 5V regulator on the LCD? Since you would be powering a lot of things on the usb hub, then the input to the usb hub would have to be at least 1.5 amps or so.. right? next time add external dvd drive an a 7 inch screen an a rpi cooling fan + a rpi with 512mb ram :)! Is there any way to make the case without the 3D printer, please!? could this be able to run things like portal if it had enough memory? I know that a guy got raspberry pi to run minecraft but don’t know if you have to modify it to do that specifically. Could it run windows as well? also could it have better sd card with more gb? I love what you have done! I have replicated this for a class project. I have everything working thusfar except for one simple detail…i cant get the overscan to work within the OS to fit the screen. Im running “sudo nano /boot/config.txt” at the terminal and no matter what i set the top, bottom, left and right overscan it will not change the resolution. What am i doing wrong? Any advice would be greatly appreciated. Thanks! Would you mind if we upgraded this design a bit? I think I could make it thinner. How do I get the battery out of the case??? You should try but I am having difficulties with the screen. I soldered the composite cable on and connected the battery to the power cable but it still won’t turn on. Please can anyone help me? Hello, is there any reason why the screen wont turn on when i connect the power cords? Can you make youtube video for all step for make your version please ? I didn’t get the part about the extended storage. Could someone help me out about that? I don’t get the part about the extended storage. Can anybody tell me what that means? Sorry about the impartial sentence. My computer acted weird. the ssd uses the caddy to convert its own connection into a usb, so it can connect to the usb hub. Can I buy one premade off you, or do I have to build it myself? lol… can i buy this off of you by any chance ? great stuff but have too may questions to post here any skype or direct number, did you buyt the car tft with case? looking for super cheap solution to make small terminal, can you help? 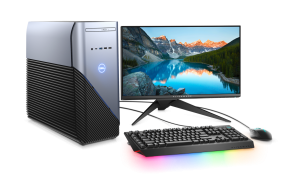 I am making this computer for someone else (grandpa) who is comfortable with Microsoft Office only. 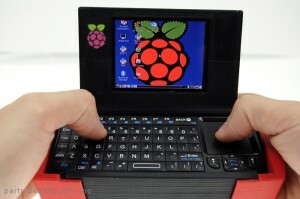 Can Microsoft office run on raspbian? Is adapting to Libre office easy? Any thing special that I should give him under “Please Note: instructions “? Later this year, Pi will have a version of windows 10 on it. MS Office, even on the new RPi 2 won’t run well if using Windows 10, slated to be officially ported for ARM v7+ Devices, including the RPi 2. Raspbian is built on Debian, so WINE could run old MS Office (i.e. 2003). Libre Office and Apache Open Office are excellent, but compatibility with .doc, .docx, .xls, etc. is imperfect. They use the open office format. Does file format matter? If so, WINE is your best bet (Again, with old MS Office). If you want the PC for general computing, the RPi is terrible for anything with Windows or Mac software. I assume. Grandpa has an old PC. Consider dual booting with a Linux OS like Debian with LXDE. MS Office and Windows can still be used when necessary, but be secondary. Should you use Windows 10 as A Tuba Player has suggested, you will need to make extensive use of a [quasi-] swap partition. (Windows Ready Boost) Swap is different for Windows. I agree with adding a video tutorial for this build. Can I buy a premade one somewhere, or do I have to build it myself? Can this be made to run on Pi Zero? I want to know if you can do this same project but with a Pi Zero? The project is nicely done, but it’s too expensive. 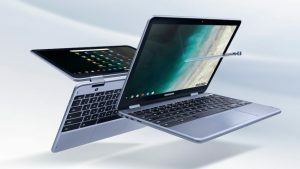 It costs $331,30 (excluding shipping, which adds more than expected because parts come from different websites and they charge separate shipping costs). I know this is 4 years later, but I don’t have the time to make this myself, sadly. Are you willing to sell a case just like this for me? I just need the keyboard, screen, and battery. I am willing to purchase too. can you use a raspberry pi 3.